Terra Lago Golf Course. Golf Terra Lago Indio. Terra Lago golf course details and information about Terra Lago Golf Club in Indio, California. Terra Lago Golf Includes two 18-hole public courses. They feature dramatic elevation changes, stunning views, and challenging play. In addition, the club has a panoramic view from one end of the Coachella Valley to the other. Terra Lago Golf has welcomed some of the best golf professionals in the World. Some names include Tiger Woods, Phil Mickelson, Sergio Garcia, Vijay Sing, Fred Couples, and Greg Norman. 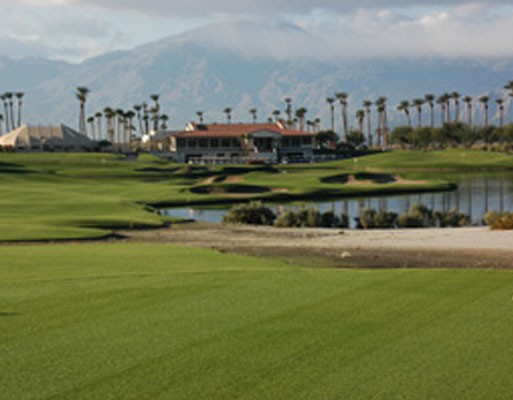 It is just off I-10 in Indio, The Golf Club at Terra Lago is a short drive from downtown Palm Springs. It is also just down the street from the Fantasy Springs Hotel and Casino. There are many other local amenities nearby that are within walking distance as well.